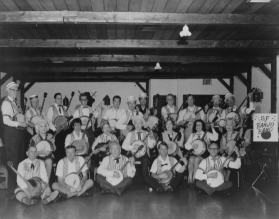 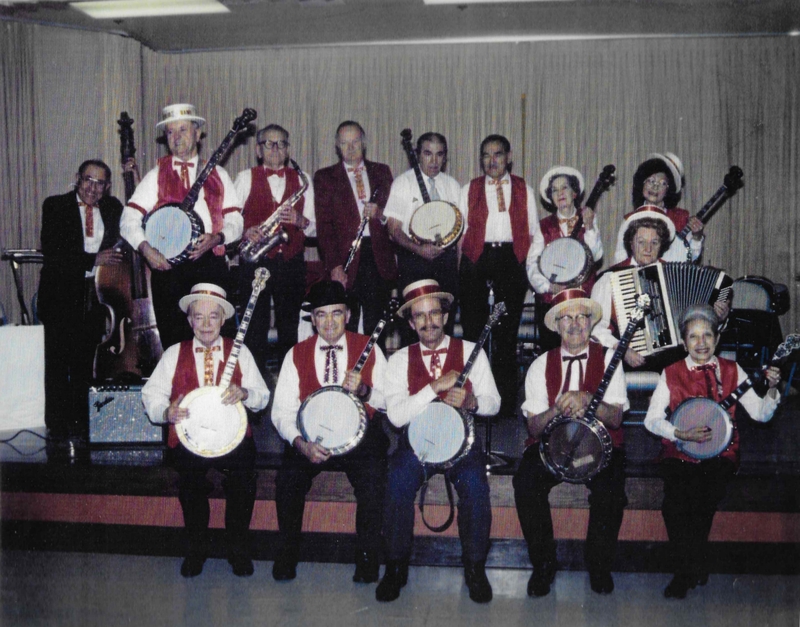 The San Francisco Banjo Band is celebrating its 48th year of entertaining throughout the Bay Area. 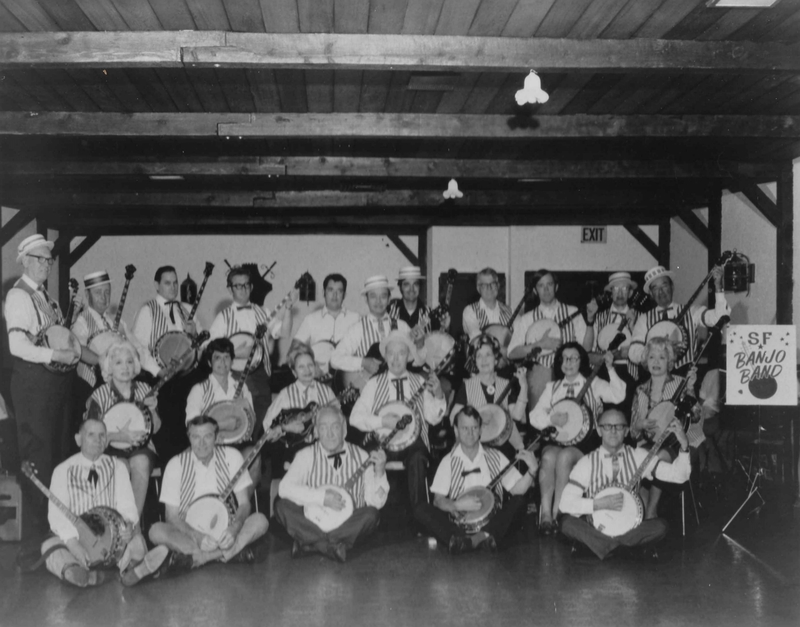 The band often referred to as the "Best Kept Secret in the Bay Area," packs each performance with the songs our rich historical music past, and mainly on the only instrument said to be indigenous to America, The Banjo! 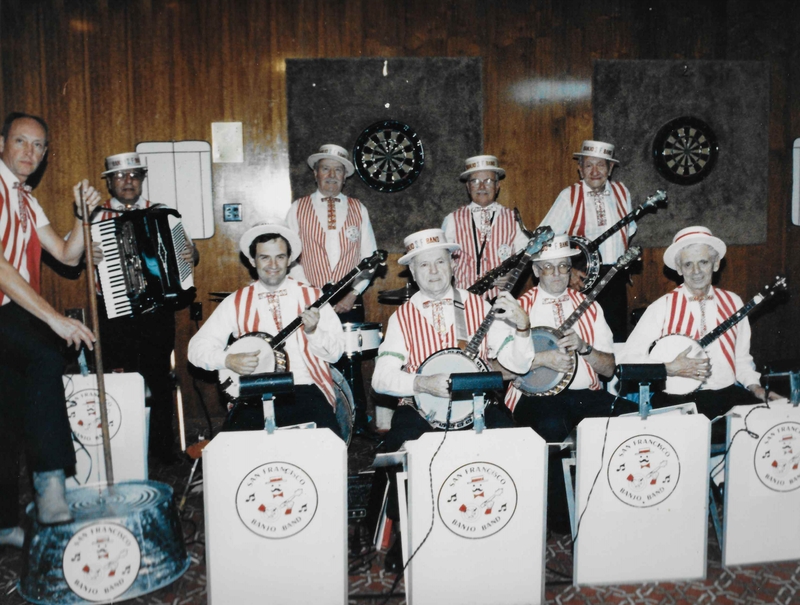 Playing songs from Stephen Foster, the classics of vaudeville to Broadway, audiences are taken back to a "different time." 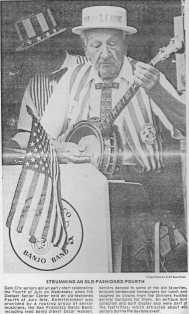 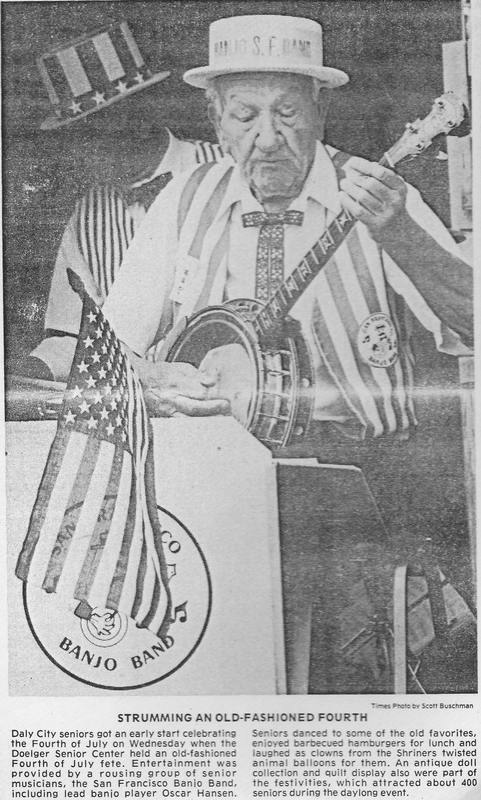 The Band was founded by two exceptional banjo players, Ray Bell and Phil Smith. 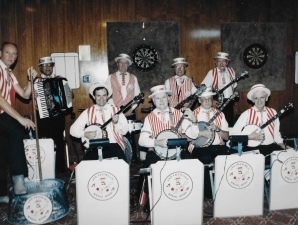 Not only did they entertain with music, Ray, an accomplished magician, would amaze the audience by performing his magic tricks in between songs. 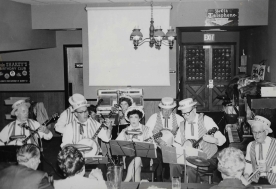 They played every Friday night at Molloy's Tavern in Colma for eighteen years. After a brief interlude the band continues to play at Molloy's Tavern the first Saturday of each month from 6:30pm to 8:30pm, with no cover charge. 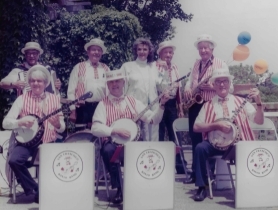 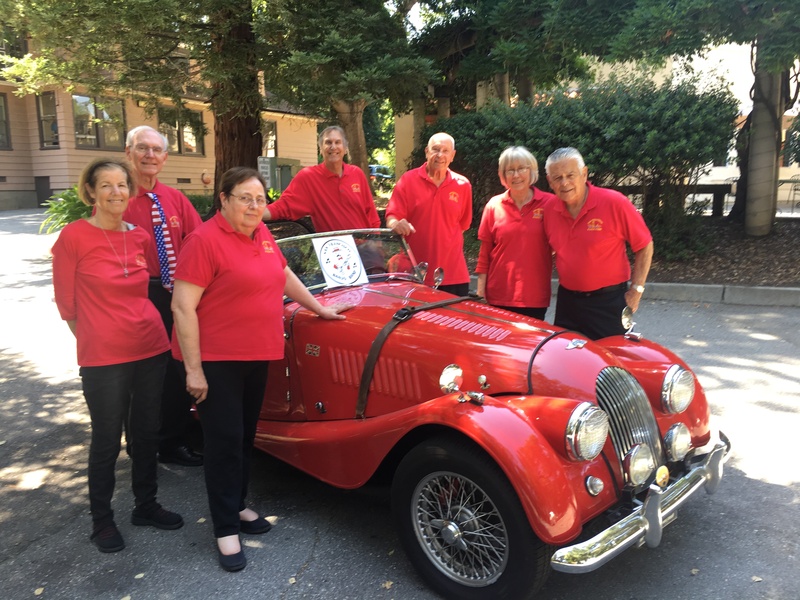 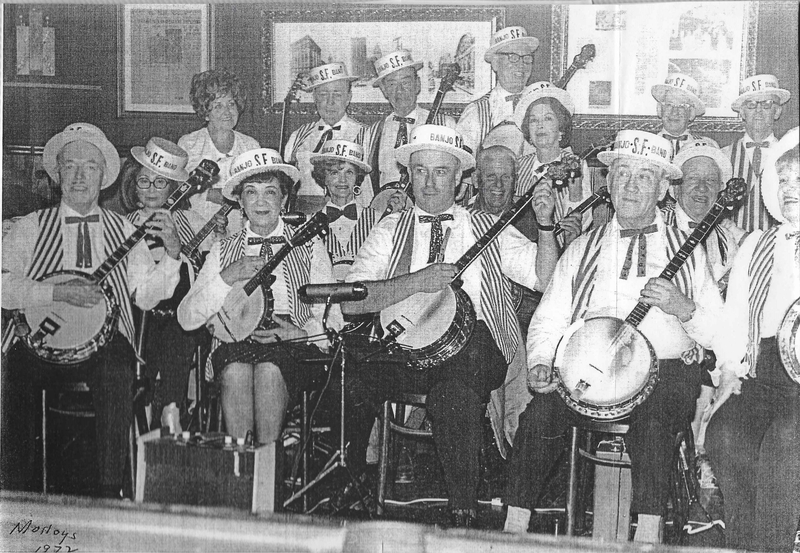 Thanks to the founding members the San Francisco Banjo Band continues their legacy of being a goodtime band and has played at Convention Centers, Political events, for the San Francisco Giants, Senior centers, civic celebrations, and good time sing alongs. 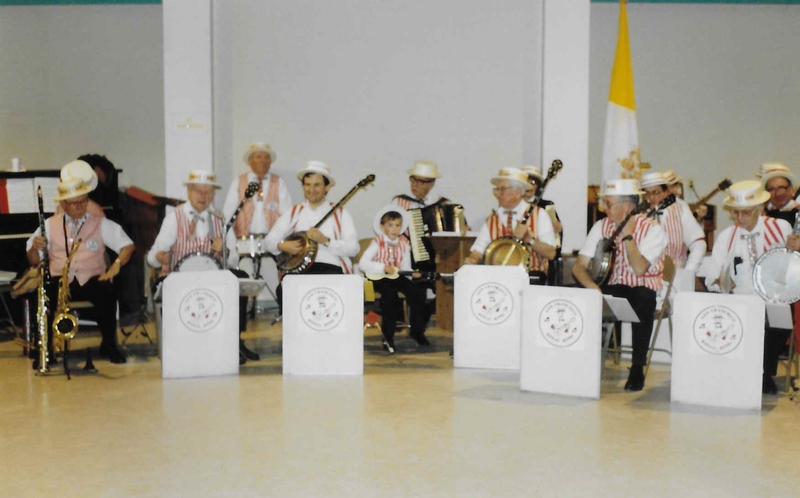 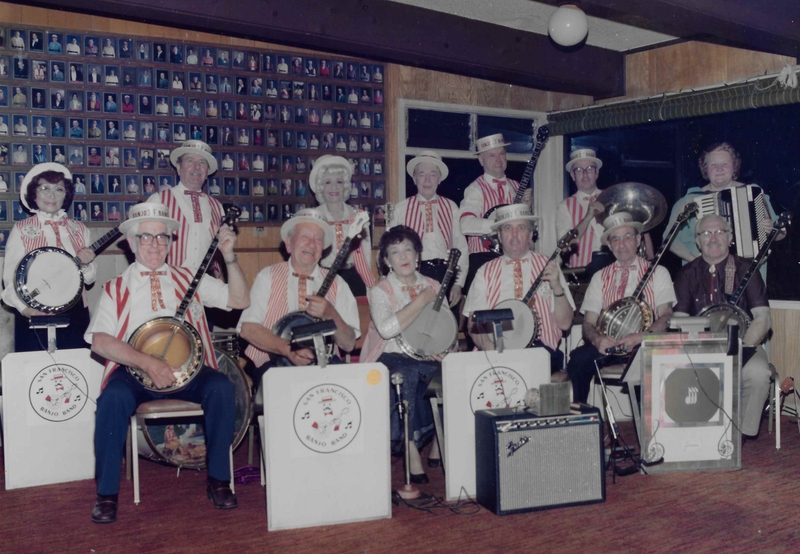 The band currently consists of 15 members and play instruments, and along with banjos, that include the gut bucket, trombone, trumpet, tuba, washboard, kazoos, squawking rubber chickens, along with hula dancing. 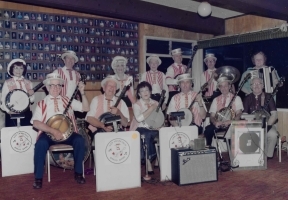 A true musical smorgasborg.